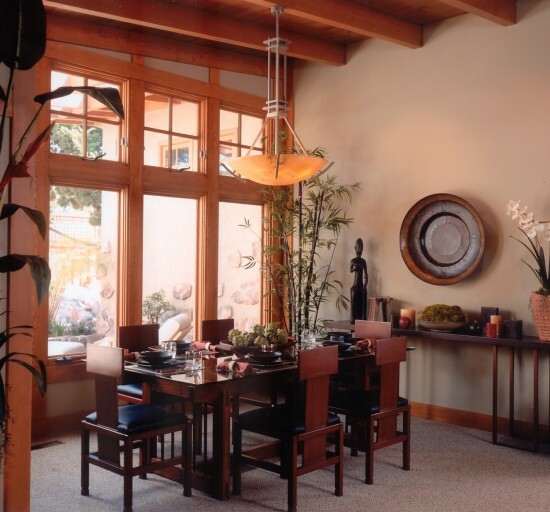 Asian influences mix with Arts and Crafts in this Coronado interior design plan. 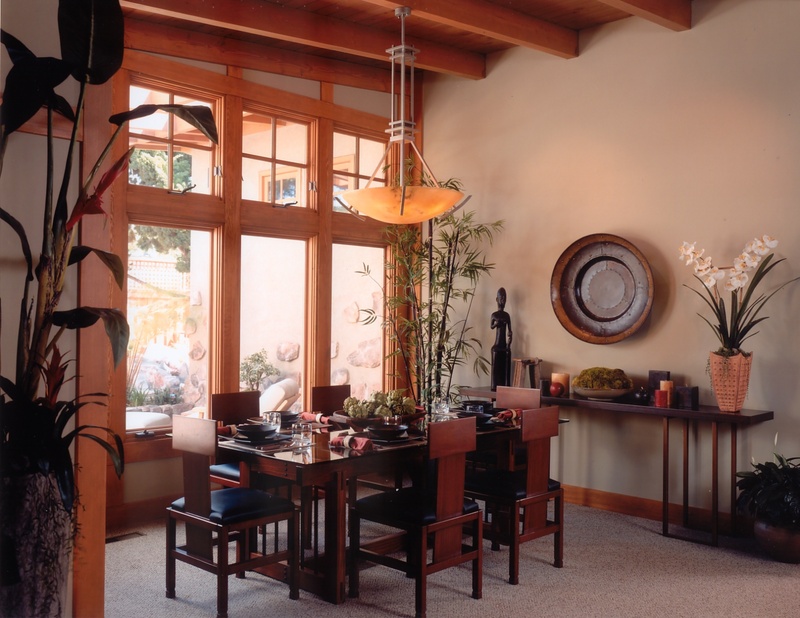 The simplicity of furniture design, art, and accessories cooperates with the home’s architecture to bring a Zen-like atmosphere into daily living areas. "The house virtually invites you in."